While doing research for my essay on my Occupational Therapy course, I found a fascinating section in a textbook on the influence of Marx, with just the gentlest inference that a good occupational therapist should be smashing capitalism. I thought it worth sharing. 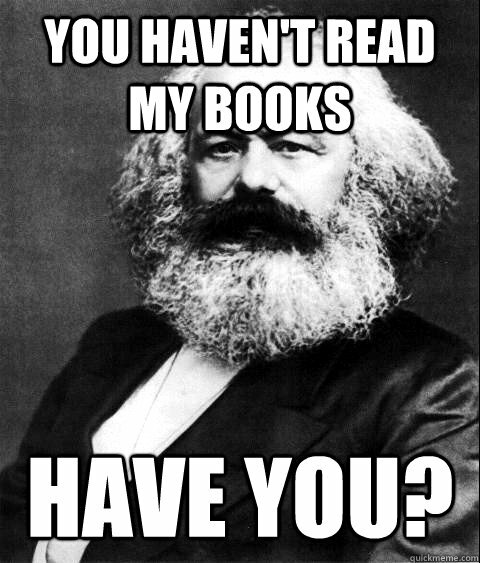 Next on my reading list: “Providing meaningful occupation through full communism”.